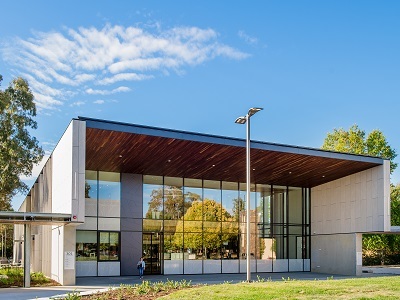 The annual Benchmark Survey of the Tertiary Education Facilities Management Association (TEFMA) has named Australian Catholic University (ACU) as the most energy efficient university in Australia. TEFMA is an independent association of facilities managers operating in the tertiary education sector of Australia. ACU outperformed more than 35 other universities across the country in several categories including those that directly measure sustainability, such as greenhouse gas emissions, waste management, water conservation and energy use. The categories of data that compose the TEFMA report are focused on the operation, maintenance and construction of facilities. According to ACU’s National Sustainability manager Mark Doggett, the University strives to be a role model for responsible environmental corporate citizenship within Australia and abroad. “In line with its Mission, the University also recognises its responsibility to conserve our natural environment, not least because it is the poor and vulnerable who suffer the most from environmental degradation,” he added. According to the TEFMA report, ACU led the University sector on two key measures of energy efficiency – energy use per floor space and energy use per full time staff and student; ACU’s energy efficiency was about double the sector’s average. Additionally, ACU has the lowest greenhouse gas emissions per full-time student of any Australian university, with 60 percent lower greenhouse emissions per full-time student. ACU also has the third lowest water consumption per full-time student, recording consumption rates less than half the sector’s average. The majority of Australian universities and TAFEs are members of TEFMA and participate in the benchmark report. The survey is undertaken in the first quarter of the year, and gathers data for the previous calendar year.